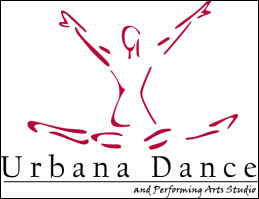 Thank you for choosing Urbana Dance for your child’s dance education. Our programs serve beginner through advanced students aged two and a half and up. We also welcome college and pre-professional students in their continued training toward mastering technique. The policies and procedures you will find here were created to give you a clear understanding of our mutual commitments and responsibilities. Parents are responsible for being aware of all dates, schedule changes, holiday schedules and recital information. Urbana Dance communicates via studio bulletin boards, emails, website, and facebook. Check ALL of these forms of communication often for important updates and messages. The dance year consists of the Fall/Spring Season and runs from August through June for a total of 37 weeks. Classes convene once or twice a week for 30, 45, 60, 75, or 90 minutes UDS does NOT follow FCPS, MCPS, or any state public or private school closings. Please refer to the studio calendar for scheduled closings and special events. Read more . We are delighted you will be joining us for your child’s dance education. Please do not hesitate to call the office should you have any questions regarding the registration process, tuition rates, fees, or creating your on-line dance account. Read more. The 37-week Dance Year tuition rates are calculated as a yearly commitment and divided into 10 equal monthly installments due on the first of each month. First and last installments are paid in advance at registration, reserving your spot in class. Read more.